A coupla months ago, Rita and I were involved in an accident…. Rita is my little car. On that day, I had a major “Where is Dr Crombie? !” –moment. In a nutshell, a taxi cab (not minibus) decided it could squeeze between the gap of parked cars alongside the road and the bumper to bumper traffic where Rita and I was sitting. So taxi dude, convinced he’s Michael Night, lands up scrapping and denting Rita and then became lodged between the parked car and Mercedes in front of me. I got out after a few minutes (we need to register you know) and here’s where the real shocker was. The Mercedes driver, taxi dude and I now all standing there assessing the damage and looking at each other. 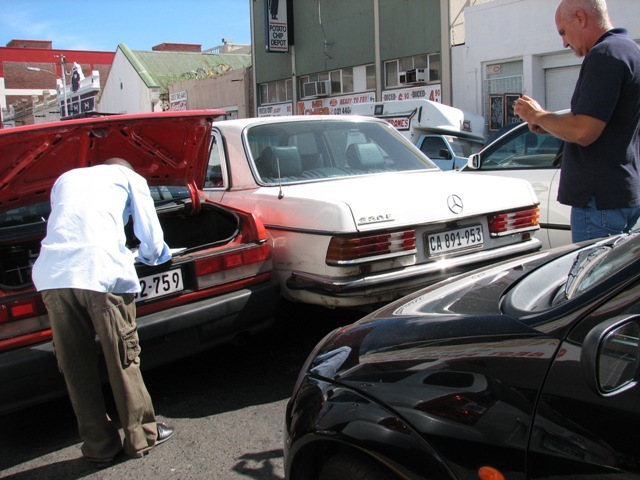 Mercedes dude breaks the ice and ever so calmly asked taxi dude “…OK.. so what happened?” and not… “are you f*@^$n stupid?!!! “ or “can’t you see where you going” … and stuff the like you know. It certainly was the first accident scene I ever saw where tempers did not flare. Despite the circumstances, taxi dude…Mercedes dude and I calmly exchanged relevant details… no swearing… no accusing… just getting the relevant done. And that was the “Where is Dr Crombie!!! –moment – recalling his concept of being “emotionally hijacked” … fellow management students might remember this from our Emotional Intelligence lecture. So pondering on whether feelings follow behavior or behavior follow feelings – I think there are times that we succumb to both. However, feelings that follow behavior are… I dunno shall I say… healthier? To be emotionally hijacked is allowing your feelings to run away with you… acting based on your emotions. Problem is… feelings come and go. They’re like energy currents that pass through the body. Happiness now… doom and gloom later. Is it wise then to act based on feelings? Back to my accident – later at the police station I learnt Mercedes dude is a psychologist… explains a lot. Evidently, by managing his emotions appropriately, we were all able to rationally sort out what needed sorting and got things wrapped up within no time. I think there is some profound wisdom in learning how to manage fickle emotions and letting feelings follow behavior instead. In this way, we’re far better able to channel our energies for appropriate and productive use, and not run away with every train that comes along. Manage your emotions… don’t let emotions manage you. "To be emotionally hijacked is allowing......"
Brilliantly said, way easier said than done tho.. I can so see how I would have blown a gasket...lmao..
High five to our wise Dr Crombie, well written engel.